Should we visit Goa during off-season? We would say Yes!, but go with the right expectations. Goa during off-season is very different from what it is like during the cooler months. Which months are considered off-season months? The months from May to September are considered off-season. May is usually unbearably hot. 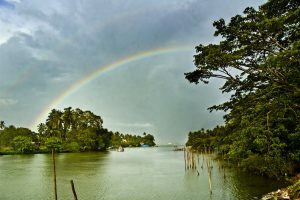 The monsoons hit Goa by early or mid-June. It starts cooling down once the rains arrive and the countryside starts turning green. Which beaches/areas should we visit in Goa during off-season? We’d say in and around Baga-Calangute if you want to be walking or a short-ride distance from shacks/restaurants which are still open. Baga-Calangute tends to be open all season. A bunch of beach-shacks would be open, a number of shopping stalls would be open too. If you like the quiet, then you can stay around Anjuna and Vagator. However, expect most restaurants and shopping in and around to be shut. On the other hand it is really nice and peaceful. Avoid the very North of Goa, Arambol/Mandrem/Ashvem would be very desolate. What about the beaches in South Goa? We love the beaches in South Goa. 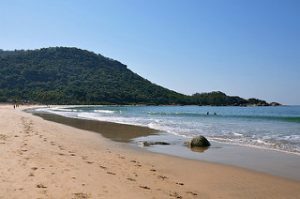 Palolem, Patnem and Agondi are really peaceful and pretty beaches. However, they would almost completely empty during end of May onwards. You can still pick a nice resort in South Goa or stay in North Goa and go for a drive to South Goa. Which cool/really nice hotels would you recommend staying at in Goa during off-season? Goa has innumerable five-stars, equal number of really cool and hip/boutique hotels to stay at. Get in touch with us and we’d love to help you plan your trip to Goa and beyond. I am looking for nightlife and people. could you recommend me any hipp and cool boutique hotel under 7000 rupees a night? We ( 4 adults) are planning to be in Goa in early to mid-September. Fully aware that weather is changeable, we would love to stay somewhere not too isolated where we can get a flavour of Goan life. Any recommendations would be appreciated. Hi, Most accommodations are closed in Goa at the beaches and where the nightlife happens in July. You could try Casa Vagator, Wildflower Vilas or Waters Boutique Hotel in Baga. Enjoy! Hi, thank you for your helpful post! My friends and I were planning to visit Goa from September 29 to October 2. Would you recommend those days? Hi Rojhelle, It is possible to visit Goa end of September. Many restaurants and resorts reopen in September or on Oct 1st. Check out the more popular beaches like Vagator, Baga, Anjuna etc. 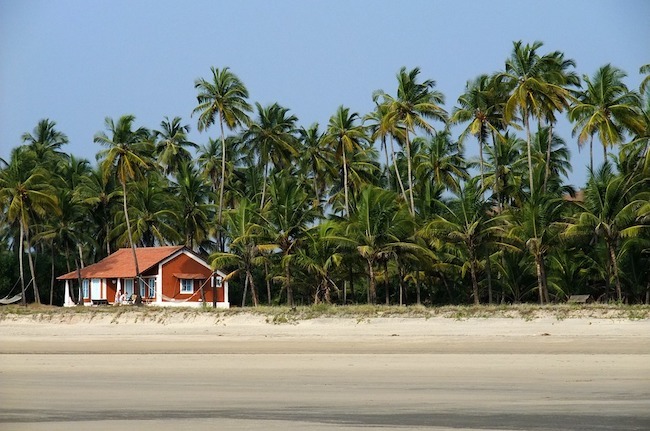 In South Goa you will find only empty beaches with nothing open to stay up north. All together you might face rain and strong winds and currents but also hot days. So be prepared for any weather. Enjoy! Hi Greg. Most accommodations are closed in Goa at the beaches and where the nightlife happens in July. You could try Casa Vagator, Wildflower Vilas or Waters Boutique Hotel in Baga. Enjoy! I’m planning to visit south goa with my pet alone. I know the weather is going to be upon us. I believe this weather is perfectly suitable for my pet to be, as I want my pet to experience the beach and have a blast, so be it alone. Would appreciate if you could please give me some leads of pet friendly hotels or shacks close to beach by palolem or nearby places. Oh this is a very difficult question that we are not able to answer. 1. None of us or our travellers have travelled with a dog and 2. the accommodation scene in Goa is changing so quickly always that it is hard to keep track. Not on the beach but great for families and pet owners: Olaulim Backyards. Planning to visit Goa in August, probably the weekend before Independence Day more for relaxing and some sightseeing. Would you suggest it’s right time and if so what’s your suggestions on places to stay. Basically a visit to Goa is not ideal until after October but it is possible. For sightseeing and relaxing stay in central Goa around Panjim where you can find great charming BnBs and resorts. me and my other friends are planning to visit Goa from sep 12th to 14th sep. Would you recommend those days? Basically a visit to Goa is not ideal until after October but it is possible. When you are with friends go to places where nightlife and activities are happening like Baga, Vagator and Anjuna. Wish I had come across your article before my trip. The resort I am at (Taj Holiday) is beautiful but very quiet, I would love to try it again peak season though. Off Season, this would be an ideal time for a family, or group of friends, but as someone currently traveling solo it lacks a certain something unless you want a true getaway with no one around. Great. Enjoy your time in India! Please suggest which area to stay in Goa during 1st week of September. I am taking my kids for vacation. Suggest a good place where kids can enjoy and local sight seeing is also possible. If u can suggest good hotels or resorts that will be helpful, budget is not a concern. Hi. As mentioned Goa is difficult in off-season between April and October. You can stay at a resort like Casa Vagator, Wildflower Vilas or Waters Boutique Hotel in Baga.